Bzzagent started off the week with duo Bzzagent campaigns for Canadians! The first being a campaign for CoverGirl Outlast All Day finishing powder and concealer! 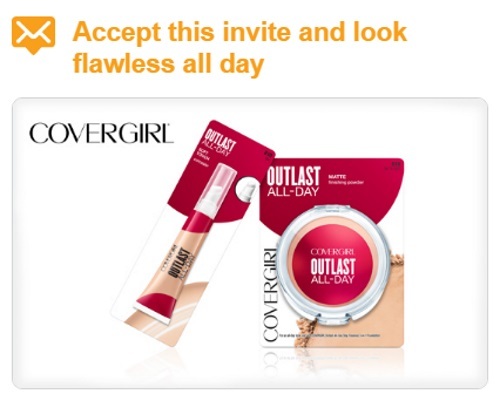 No matter how busy this season gets, look naturally flawless all day with CoverGirl Outlast. The lightweight Outlast Matte Finish Powder is specially designed to naturally and seamlessly blend into your skin while absorbing excess skin oil. With its easy-to-apply tube and soft touch felt tip, Outlast Concealer keeps your skin looking flawless all day. Products are distributed on a first-come, first served basis. Were you invited to this campaign? Let us know on our Facebook Page.! Click here to log into your Bzzagent account or join.